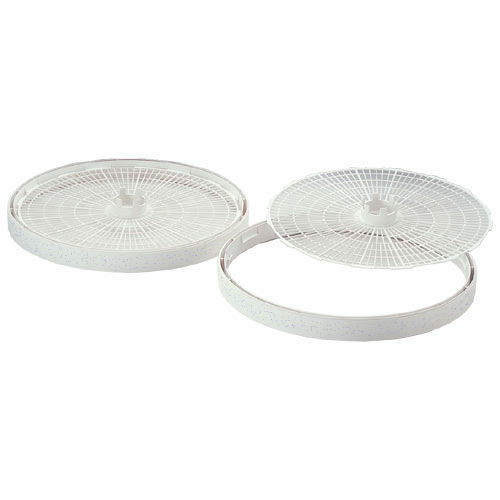 The 2-pack Add-A-Tray® Accessory Packs enable you to expand your dehydrator to its maximum capacity. With additional trays, you can take advantage of food savings during harvest time or dry your own garden fruits and vegetables as they ripen. No tray rotation needed. The heated air flows horizontally across each tray providing fast, even drying for best nutrition. Trays are easy to clean. Just wash in warm, soapy water or in the dishwasher on the top rack [however, trays must be removed before drying cycle]. Extra Dehydrator trays are perfect for drying more great tasting jerky with our famous jerky seasonings.